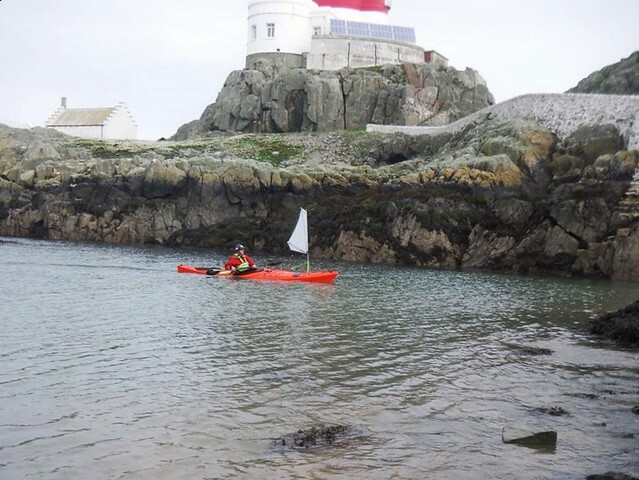 Geth has teamed up with P & H to offer sea kayak sailing events and courses throughout Wales. 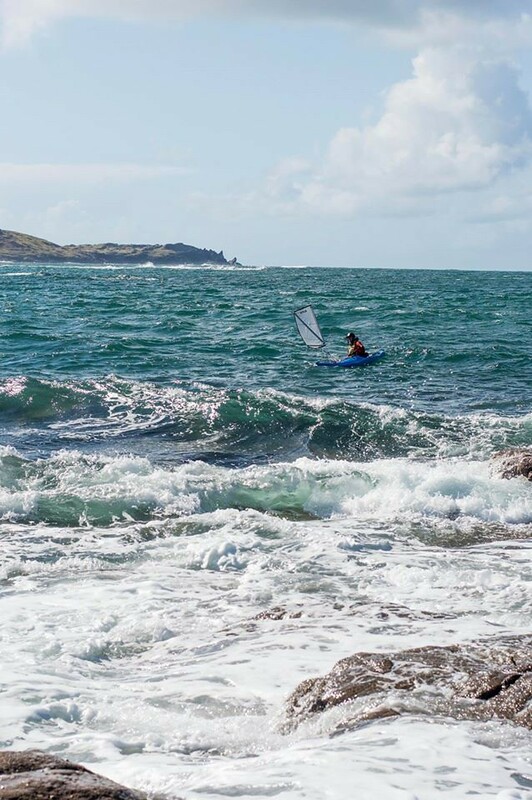 This provides kayaking participants, experienced in touring in F4 wind conditions, with opportunities to try out sea kayak sailing and develop relevant new skills. 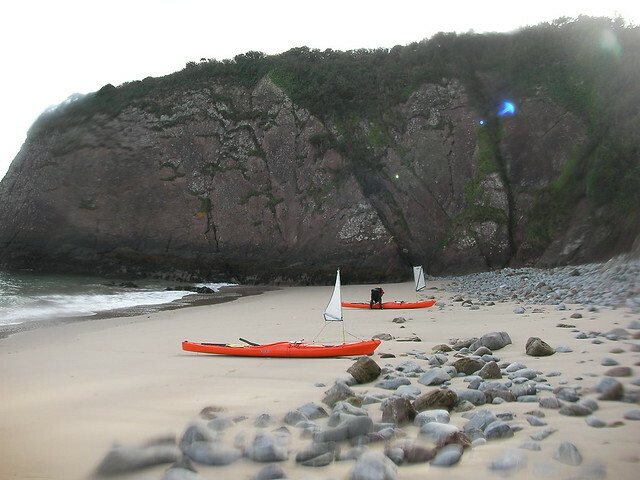 Kayak sailing also became popular in continental Europe during the 1920s and 1930s. In 1928 Franz Romer kayak sailed across the Atlantic from Lisbon to Puerto Rico. He attempted to continue his journey onwards to New York but went missing, presumably killed, in a hurricane. 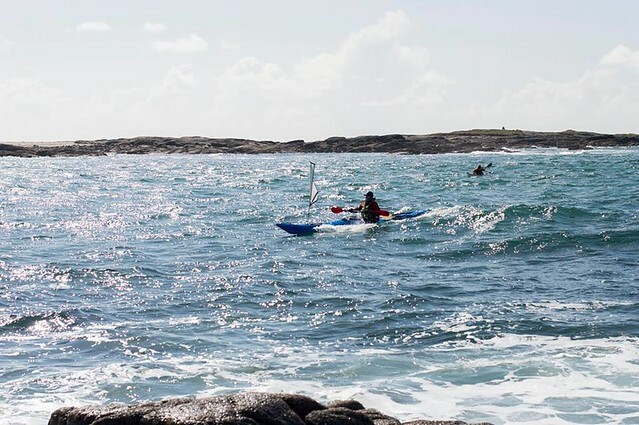 Oskar Speck’s similarly epic seven year kayak sailing trip from Germany to Australia should have been widely celebrated as an amazing achievement. However, arriving at his destination in September 1939 he was interned for the duration of World War 2. When the waves become too steep it is best to stow the sail away as it will no longer enhance the experience and will become a liability. 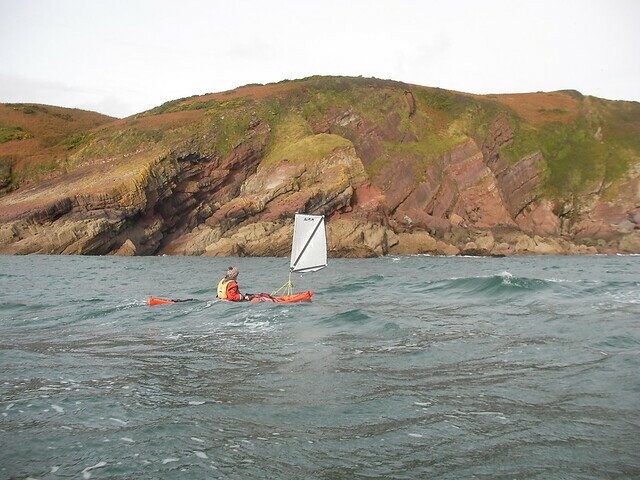 Some sea kayaks will need strengthening to accommodate a sail mast. Most kayak companies will strengthen your kayak by special order. Both P&H and Tiderace kayaks produce all of their kayaks with enough strength to accommodate a sail mast. 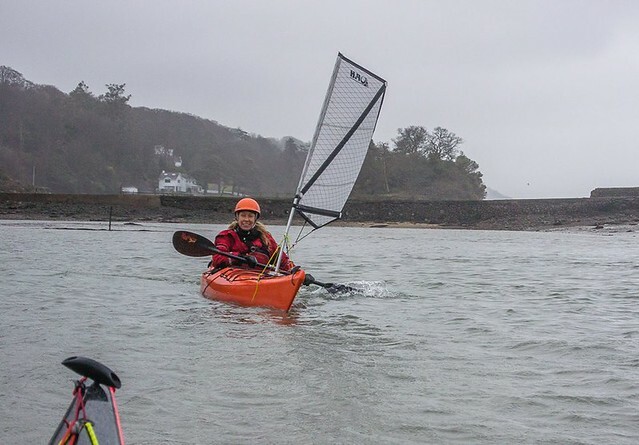 P&H is the manufacturer that has embraced sea kayak sailing the most. 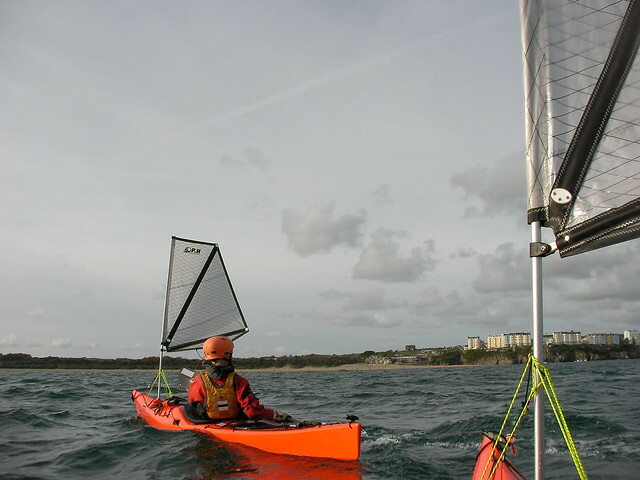 Their Scorpio MKII range of sea kayaks have been designed with sailing in mind. They easily accommodate a Flat Earth Kayak Sail and handle superbly well under sail. 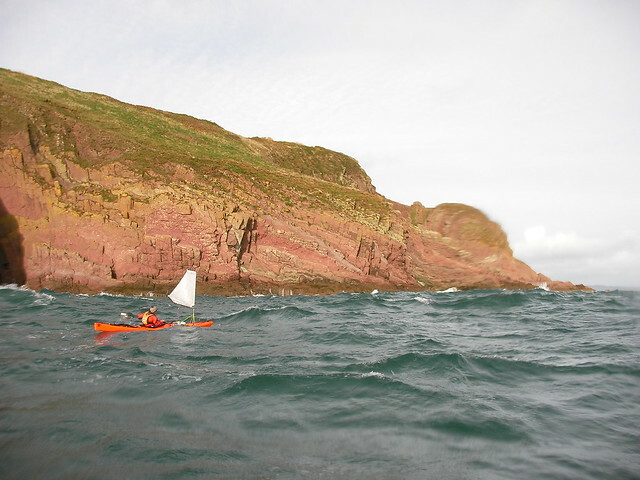 Scotland – Karitec are the main importer of Flat Earth Kayak Sails and have a range of demo boats to try out under sail.